There’s a new sticker you will be able to affix to your next PC build featuring Asus components. Asus has introduced its Beyond VR Ready program to “open up a new way to configure and build your dream system with total confidence,” not just for VR purposes, but for a capable gaming, productivity and entertainment machine. 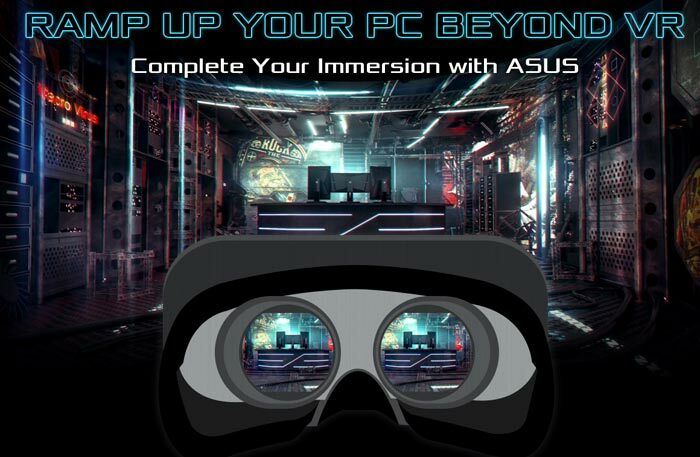 Asus claims to have lab-tested the compatibility and interoperability of a long list of its own components for its new Beyond VR Ready program. The assurance offered by the program currently covers two pre-built Asus PC systems which are the ASUS G11CD or ASUS ROG G20CB, and a long list of motherboards and GPUs. Looking through the list of components I noted that a wide range of motherboards spanning those with Intel B150, H170, Z170 and X99 chipsets were Beyond VR Ready. Graphics cards that qualified for the ‘assurance’ included AMD’s Radeon 390/R9 Nano models and faster, and Nvidia GeForce GTX 970 models and faster. While Asus has published these component lists it asserts that “Building a PC is not just about checking off a hardware list for the best VR experience – it’s about the fact that your system is capable of being so more than a purpose-built VR console”. It goes on to say that its ready-list components will also help you enjoy “maximum performance after you’ve taken off the headset”. Asus will be updating its Beyond VR Ready program and website as new products are launched. However, overall the ‘program’ seems like just a marketing tool to steer you to buy more Asus kit that falls within the scope of both the Oculus Rift and HTC Vive HMD hardware recommendations.